This article is about the American military figure. For the British engineer, see Oliver Danson North. "Colonel North" redirects here. For the 19th-century English magnate, see John Thomas North. Oliver Laurence North (born October 7, 1943) is an American political commentator, television host, military historian, author, and retired United States Marine Corps lieutenant colonel. He was convicted in the Iran–Contra affair of the late 1980s, but his convictions were vacated and reversed, and all charges against him dismissed in 1991. North is primarily remembered for his term as a National Security Council staff member during the Iran-Contra affair, a political scandal of the late 1980s. The scandal involved the illegal sale of weapons to Iran to encourage the release of U.S. hostages then held in Lebanon. North formulated the second part of the plan, which was to divert proceeds from the arms sales to support the Contra rebel groups in Nicaragua, which had been specifically prohibited under the Boland Amendment. North was granted limited immunity from prosecution in exchange for testifying before Congress about the scheme. From 2001 to 2016, North hosted War Stories with Oliver North on Fox News. In May 2018, North was chosen as president of the National Rifle Association. North was born in San Antonio, Texas, on October 7, 1943, the son of Ann Theresa (née Clancy) and Oliver Clay North, a U.S. Army major. He grew up in Philmont, New York, and graduated from Ockawamick Central High School in 1961. He attended the State University of New York at Brockport for two years. While at Brockport, North spent a summer at the United States Marine Corps Platoon Leaders Class at Marine Corps Base Quantico in Virginia, and gained an appointment to the United States Naval Academy in 1963. He received his commission as second lieutenant in 1968, having missed a year due to serious back and leg injuries from an auto accident in which a classmate was killed. One of North's classmates at the Academy was future secretary of the Navy and U.S. senator Jim Webb, whom he beat in a middleweight championship boxing match at Annapolis. (North had shown films of this match to Marine Medical Corps officials to prove that he had fully recovered from his serious accident and could endure the rigors of midshipman training.) Their graduating class included Dennis C. Blair, Michael Mullen, Charles Bolden and Michael Hagee. North served as a platoon commander during the Vietnam War, where during his combat service, he was awarded the Silver Star, Bronze Star Medal with Combat V, and two Purple Heart medals. At the time of his being awarded the Silver Star, North was a Platoon Commander leading his Marines in Operation Virginia Ridge. North led a counter-assault against the People's Army of Vietnam, as his platoon took on heavy machine gun fire and rocket propelled grenades. Throughout the battle, North displayed "courage, dynamic leadership and unwavering devotion to duty in the face of grave personal danger". He then became an instructor at The Basic School in Quantico, Virginia. In 1970, North returned to South Vietnam to testify as a character witness at the trial of LCpl Randall Herrod, a U.S. Marine formerly under his command who, along with four others, had been charged with the murder of sixteen Vietnamese civilians in the village of Son Thang. North claims Herrod had previously saved his life. Herrod and one other Marine were acquitted. North began his assignment to the National Security Council (NSC) in Washington, DC, where he served as the deputy director for political–military affairs from 1981 until his reassignment in 1986. In 1983, North received his promotion to lieutenant colonel, which would be his last. During his tenure at the NSC, North managed a number of missions. This included leading the hunt for those responsible for the 1983 Beirut barracks bombing that killed 299 American and French military personnel, an effort that saw North arranging a mid-air interception of an EgyptAir jet carrying those responsible for the Achille Lauro hijacking. While also at the NSC, he helped plan the US invasion of Grenada and the 1986 Bombing of Libya. During his trial, North spent his last two years on active duty assigned to Headquarters Marine Corps in Arlington, Virginia. He submitted his request to retire from the Marine Corps effective May 1, 1988, following his indictment for conspiring to defraud the United States by channeling the profits from US arms sales to the Contra rebels in Nicaragua. After his trial and felony convictions, all convictions were reversed on appeal. North came into the public spotlight as a result of his participation in the Iran-Contra affair, a political scandal during the Reagan administration, in which he claimed partial responsibility for the sale of weapons through intermediaries to Iran, with the profits being channeled to the Contras in Nicaragua. It was alleged that he was responsible for the establishment of a covert network which subsequently funneled those funds to the Contras. Congress passed the Boland Amendment (to the House Appropriations Bill of 1982 and following years), which prohibited the appropriation of U.S. funds by intelligence agencies for the support of the Contras. North solicited $10 million from the Sultan of Brunei to skirt U.S. prohibitions on funding the Contras. However, he gave the wrong number of the Swiss bank account intended to launder the money, and it went instead to a Swiss businessman. A Senate committee investigating the transaction tracked it down so it could be returned to Brunei. In an August 23, 1986 e-mail to National Security Advisor John Poindexter, North described a meeting with a representative of Panamanian General Manuel Noriega: "You will recall that over the years Manuel Noriega in Panama and I have developed a fairly good relationship," North writes before explaining Noriega's proposal. If U.S. officials can "help clean up his image" and lift the ban on arms sales to the Panamanian Defense Force, Noriega will "'take care of' the Sandinista leadership for us." North told Poindexter that General Noriega could assist with sabotage against the ruling party of Nicaragua, the Sandinista National Liberation Front. North supposedly suggested that Noriega be paid $1 million in cash from Project Democracy funds raised from the sale of U.S. arms to Iran for the Panamanian leader's help in destroying Nicaraguan economic installations. In November 1986, as the sale of weapons was made public, North was dismissed by President Ronald Reagan. In an interview with Cigar Aficionado magazine, North said that on February 11, 1987, the FBI detected an attack on North's family from the Peoples Committee for Libyan Students, a sleeper cell for the Islamic Jihad, with an order to kill North. His family was moved to Camp Lejeune in North Carolina and lived with federal agents until North retired from the Marine Corps the following year. In July 1987, North was summoned to testify before televised hearings of a joint congressional committee that was formed to investigate the Iran-Contra scandal. During the hearings, North admitted that he had misled Congress, for which, along with other actions, he was later charged. He defended his actions by stating that he believed in the goal of aiding the Contras, whom he saw as freedom fighters against the Sandinistas and said that he viewed the Iran-Contra scheme as a "neat idea." North admitted shredding government documents related to these activities at William Casey's suggestion when the Iran-Contra scandal became public. He also testified that Robert McFarlane had asked him to alter official records to delete references to direct assistance to the Contras and that he had helped. North was tried in 1988. He was indicted on 16 felony counts, and on May 4, 1989, he was initially convicted of three: accepting an illegal gratuity, aiding and abetting in the obstruction of a congressional inquiry, and ordering the destruction of documents through his secretary, Fawn Hall. He was sentenced by U.S. District Judge Gerhard Gesell on July 5, 1989, to a three-year suspended prison term, two years probation, $150,000 in fines, and 1,200 hours of community service. North performed some of his community service within Potomac Gardens, a public housing project in southeast Washington, DC. However, on July 20, 1990, with the help of the American Civil Liberties Union (ACLU), North's convictions were vacated, after the appeals court found that witnesses in his trial might have been impermissibly affected by his immunized congressional testimony. The individual members of the prosecution team had isolated themselves from news reports and discussion of North's testimony, and while the defense could show no specific instance in which North's congressional testimony was used in his trial, the Court of Appeals ruled that the trial judge had made an insufficient examination of the issue. Consequently, North's convictions were reversed. After further hearings on the immunity issue, Judge Gesell dismissed all charges against North on September 16, 1991. Oliver North in April 2002, autographing one of his books for a U.S. Marine Staff Sergeant. In the 1994 election, North unsuccessfully ran for the United States Senate as the Republican Party candidate in Virginia. Republican Senator John Warner of Virginia endorsed Marshall Coleman, a Republican who ran as an independent, instead of North. North lost, garnering 43 percent of votes, while incumbent Democrat Charles Robb, a son-in-law of President Lyndon B. Johnson, won reelection with 46 percent. Coleman received 11 percent. North's candidacy was documented in the 1996 film A Perfect Candidate. Oliver North in 2005, pictured with Clinton Township, Franklin County, Ohio Assistant Fire Chief John Harris and Lieutenant Douglas Brown, at a public speaking event. In his failed bid to unseat Robb, North raised $20.3 million in a single year through nationwide direct-mail solicitations, telemarketing, fundraising events, and contributions from major donors. About $16 million of that amount was from direct mail alone. This was the biggest accumulation of direct-mail funds for a statewide campaign to that date, and it made North the top direct-mail political fundraiser in the country in 1994. North has written several best-selling books including Under Fire, One More Mission, War Stories—Operation Iraqi Freedom, Mission Compromised, The Jericho Sanction, and The Assassins. His book American Heroes was released nationally in the United States on May 6, 2008. In the book, "North addresses issues of defense against global terrorism, Jihad, and radical Islam from his firsthand perspective as a military officer and national security advisor and current Middle East war correspondent." He writes a nationally syndicated newspaper column through Creators Syndicate. On November 5, 2013, North's American Heroes on the Homefront, was released. This is a nonfiction book that gives a firsthand account of the Americans who have volunteered to join the United States Army. The book was a collection from the dozen years North and the Fox News Channel have traveled the frontlines of the War on Terror. During those years North and his team have profiled hundreds of soldiers and chronicles what it means to be a hero. In the book he continues the journey by following these soldiers from the battlefield back to the home front. In 1991 North appeared on the first season of The Jerry Springer Show. 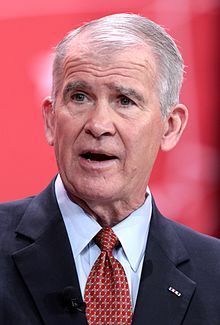 From 1995 to 2003, he was host of his own nationally syndicated radio program on Radio America known as the Oliver North Radio Show or Common Sense Radio. He also served as co-host of Equal Time on MSNBC for a couple of years starting in 1999. North was the host of the television show War Stories with Oliver North from 2001 to 2016, and is a regular commentator on Hannity, both on the Fox News Channel. North appeared as himself on many television shows including the sitcom Wings in 1991, and three episodes of the TV military drama JAG in 1995, 1996, and 2002 as "Ollie", a close friend of the deceased father of Tracey Needham's character Meg Austin. In addition, he regularly speaks at both public and private events. North appears in an episode of Auction Kings to have his Marine Corps sword returned after it was lost and presumably stolen in 1980. North was credited as a military consultant in the 2012 video game Call of Duty: Black Ops II and voiced himself in one level of the game. In Season 4, Episode 15 Stanny Slickers II: The Legend of Ollie's Gold of the TV series American Dad! Stan Smith searches under his house for Oliver North's hidden gold. In 2014 he received story credit for an episode of the TV series The Americans where the protagonist Soviet spies infiltrate a Contra training base in the United States. In 1990, North founded the Freedom Alliance, a 501(c)(3) foundation "to advance the American heritage of freedom by honoring and encouraging military service, defending the sovereignty of the United States, and promoting a strong national defense." The foundation's primary activities include providing support for wounded combat soldiers and providing scholarships for the children of service members killed in action. Beginning in 2003, Sean Hannity has raised over $10 million for the Freedom Alliance Scholarship Fund through Freedom Concerts and donations from The Sean Hannity Show and its listeners. The charity has been criticized by conservative blogger Debbie Schlussel for distributing too little of its funds for charitable purposes. Hannity, North, and other charity spokespersons say that all of the "net" proceeds from the Freedom Concerts are donated to the fund. On May 7, 2018, the National Rifle Association (NRA) announced that North would become the organization's next president within the following weeks. He succeeded Pete Brownell, the incumbent. North is a board member in the NRA and appeared at NRA national conventions in 2007 and 2008. In 1967, North married Betsy Stuart; they have four children. Although raised in the Roman Catholic faith of his mother, North has long attended Protestant or evangelical services with his wife and children. The Norths live in McLean, Virginia. ^ a b Shesgreen, Deirdre (May 7, 2018). "Oliver North poised to become next National Rifle Association president". USA TODAY. ^ Under fire: an American story – Oliver North, William Novak. Google Books. 1991. ISBN 978-0060183349. Retrieved October 16, 2012. ^ "Obituaries". Los Angeles Times. October 20, 1999. ^ "Oliver North site". Oliver North. Retrieved January 20, 2016. ^ a b "The Puzzle Of Oliver North". ^ "Top 10 Most Athletic Democrats – #10 Jim Webb". RealClearSports.com. Retrieved January 20, 2016. ^ a b Cushman Jr., John H. (July 7, 1987). "Washington Talk; 5 Young Lawyers Who Would Be Heroes... And A Marine Who Wears a Hero's Ribbons". The New York Times. Retrieved June 23, 2011. ^ "Veteran Tributes". Veterantributes.org. Retrieved January 20, 2016. ^ "The Man Who Did Too Much – Vol. 28 No. 2". July 13, 1987. ^ "Book Review: Son Thang: An American War Crime 1". litigation-essentials.lexisnexis.com. ^ a b Greenwald, John; Beckwith, David; Halevy, David (November 17, 1986). "Washington's Cowboys". Time. Retrieved June 23, 2011. 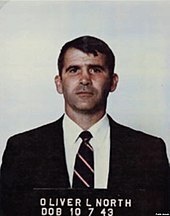 ^ "Oliver North profile". Speaker Line-Up 2002. The Bakersfield Business Conference. Archived from the original on August 6, 2007. Retrieved December 23, 2008. ^ "Oliver North". nndb.com. Retrieved January 25, 2014. ^ "North Quits Marines". The New York Times. March 19, 1988. Retrieved December 21, 2012. ^ Profile, valor.militarytimes.com; accessed January 31, 2016. ^ Profile, biography.com; accessed January 31, 2016. ^ Oliver North honored by American Legion, legion.org; accessed January 31, 2016. ^ Webb, Gary (1999). Dark Alliance. Seven Stories Press. p. 206. ISBN 978-1888363937. ^ Butterfield, Fox (May 13, 1987). "NORTH'S $10 million Mistake: Sultan's gift lost in a mixup". The New York Times. Retrieved May 8, 2018. ^ Cockburn, Alexander; St. Clair, Jeffrey (1998). Whiteout: the CIA, drugs, and the press. Verso. p. 287. ISBN 1859841392. Retrieved November 30, 2010. ^ North American Congress on Latin America (1993). NACLA report on the Americas. 27. California: NACLA. p. 31. Retrieved November 30, 2010. ^ "The Oliver North File". 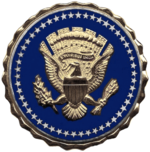 National Security Archive. Retrieved June 23, 2011. ^ "An Exclusive Interview with Oliver North". Archived from the original on July 14, 2014. Retrieved June 6, 2014. ^ North, Oliver. "Hugh Hewitt Show" (Interview). Interviewed by Hugh Hewitt. ^ "Eight Men Are Charged With Pro-Libya Actions". Retrieved June 6, 2014. ^ Rosenberg, Eli (May 8, 2018). "'Olliemania': The stage-worthy scandal that starred Oliver North as a congressional witness". The Washington Post. Retrieved February 28, 2019. ^ a b "A Perfect Candidate (1996)". IMDb. Retrieved June 23, 2011. ^ "Hostile Witnesses". The Washington Post. August 19, 1998. p. 3. Retrieved June 23, 2011. ^ Crawford, Craig. "One Avenue, Two Faces: White House, Crack House". Archived from the original on December 13, 2013. ^ Shenon, Philip (July 21, 1988). "Civil Liberties Union Asks Court To Quash Iran-Contra Indictment". The New York Times. Retrieved May 7, 2018. ^ "Walsh Iran/Contra Report – Chapter 2 United States v. Oliver L. North". Fas.org. Retrieved June 23, 2011. ^ "Walsh Iran/Contra Report – Chapter 2 United States v. Oliver L. North". Fas.org. Retrieved October 21, 2016. .
Quote: "In two days of remand hearings, [Robert C.] McFarlane testified that his trial testimony was 'colored' by, and that he was deeply affected by, North's immunized congressional testimony. Independent Counsel then consented to dismiss the remaining counts of the indictment.... Order, North (D.D.C. Sept. 16, 1991) (dismissing Counts Six, Nine, and Ten of Indictment, with prejudice)." ^ "Statistics Of The Congressional Election Of November 8, 1994". Clerk.house.gov. Retrieved June 23, 2011. ^ "Ollie, Inc.: how Oliver North raised over $20 million in a losing U.S. Senate race". Archived from the original on May 8, 2018. Retrieved September 24, 2007. ^ North, Oliver (2003). War stories: Operation Iraqi Freedom. Washington, DC: Regnery Pub. ISBN 0895260379. ^ North, Oliver; Musser, Joe (2002). Mission compromised: a novel. Nashville, Tenn.: Broadman & Holman. ISBN 0805425500. ^ North, Oliver; Musser, Joe (2003). The Jericho sanction: a novel. Nashville, Tenn.: Broadman & Holman. ISBN 0805425519. ^ North, Oliver; Musser, Joe (2005). The assassins: a novel. Nashville, Tenn.: Broadman & Holman. ISBN 978-0805425529. ^ "About The Book". Americanheroesbook.com. Archived from the original on July 24, 2012. Retrieved June 23, 2011. ^ "About Oliver North". Creators.com. September 30, 2011. Retrieved October 16, 2012. ^ "OliverNorth". bookrevue.com. Archived from the original on November 9, 2013. Retrieved January 25, 2014. ^ "War Stories | Oliver North". Fox News. Retrieved October 16, 2012. ^ Itzkoff, Dave (April 15, 2014). "Oliver North, Now in the Service of TV's K.G.B." The New York Times. ^ "About Freedom Alliance". Freedom Alliance. Retrieved June 16, 2016. ^ Watts Jr., James D. (August 19, 2010). "A concert with an attitude: Sean Hannity's benefit show isn't without controversy". McClatchy – Tribune Business News. Washington. ^ "Lt. Colonel Oliver North Poised to Become NRA President". NRA.org. National Rifle Association. Retrieved May 11, 2018. ^ "Bolton, Oliver North among speakers at NRA conferences". Showmenews.com. Archived from the original on August 14, 2007. Retrieved June 23, 2011. ^ "NRA's Annual Meetings & Exhibits 2008: A Celebration of American Values". NRA Institute for Legislative Action. April 17, 2008. ^ "Oliver North profile". U-s-history.com. Retrieved October 16, 2012. ^ "London Review of Books: Robert Fisk writes about Oliver North's contributions to the ordeal of the Middle East". Lrb.co.uk. Retrieved June 23, 2011. ^ Lieutenant Colonel Oliver North Speaking to Reporters from Limousine Pictures | Getty Images Retrieved 2018-05-08. Ben Bradlee Jr. (1998). Guts and Glory: The Rise and Fall of Oliver North. Donald I. Fine, Inc. ISBN 1556110537. Meyer, Peter (1987). Defiant Patriot: the Life and Exploits of Lt. Colonel Oliver L. North. St. Martin's Press. ISBN 0312910916. OCLC 16774532. "The Contras, Cocaine, and U.S. Covert Operations". Nsarchive.gwu.edu. Retrieved January 20, 2016. "The Oliver North File". The National Security Archive/George Washington University.